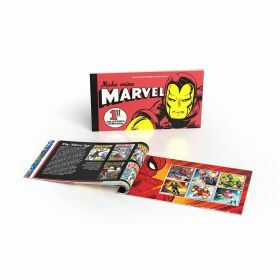 A non-personalised versions of the traditional First Day Cover and will be available on sale until 14 June 2019, three months after the stamp issue date. 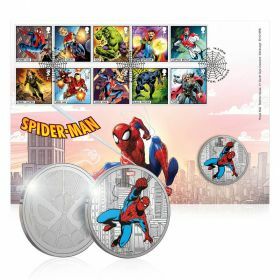 The stamps are cancelled with the alternative Shield Row, Stanley postmark, and there are two Stamp Souvenirs to choose from. 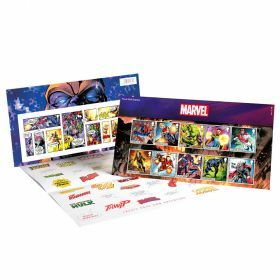 Contains all ten Marvel Super Hero stamps cancelled. 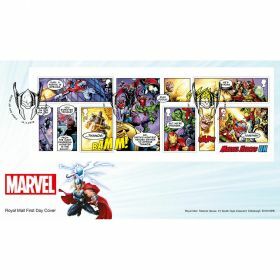 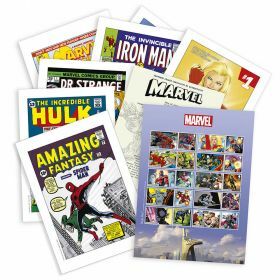 The envelope contains an information card featuring a wonderful Heroes v Villains illustration by Marvel comic artist Neil Edwards, along with more information about your Super Hero stamps.